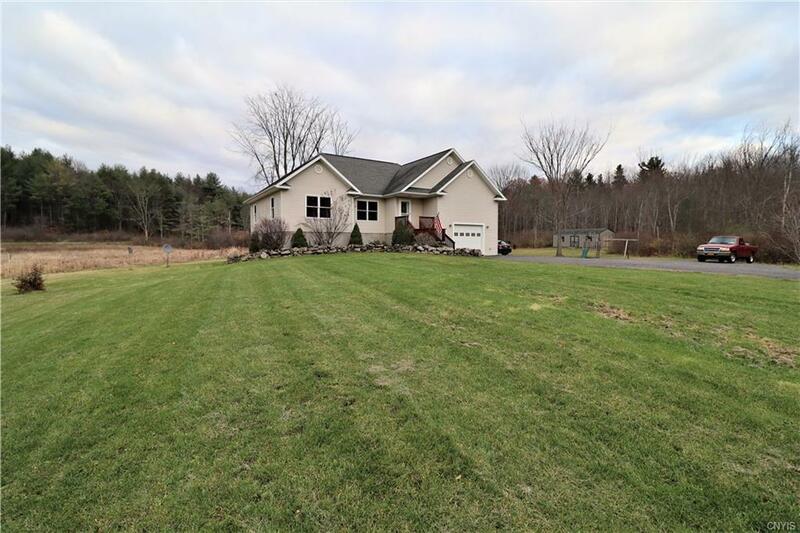 " ANSWERING THE REAL ESTATE NEEDS OF THE 10TH MOUNTAIN DIVISION "
If you're looking for privacy and tranquility, then check out this beautiful home situated on 7.19 acres of lawn and field, with 23 more acres of woods!! This inviting home sits in a special place that inspired a painting by the local and renowned River artist Michael Ringer. This home has much to offer including: a great room w/ hardwood floors, well-appointed kitchen w/ stainless appliances and tiled floors, master bedroom, master bath w/ large tub & tile surround, huge partially finished basement with 4th bedroom and 3rd full bath, whole house 16k standby generator, central A/C, large deck, and a 14'x30' shed and much more. If you like to hunt there's 23 acres of woods with ATV trails. All this just 25 Minutes from Fort Drum. A must see so call today for a private showing! !